OK, I know, most of us have heard of the mineral wollastonite and many of us have collected it at the Valentine Mine in Harrisville, or at Rose Road in Pitcairn or Cascade Slide in the Adirondacks. You may even know that 100% of North America’s mined wollastonite comes from two quarries in New York, the aforementioned Valentine Mine and the Lewis Mine near Willsboro. 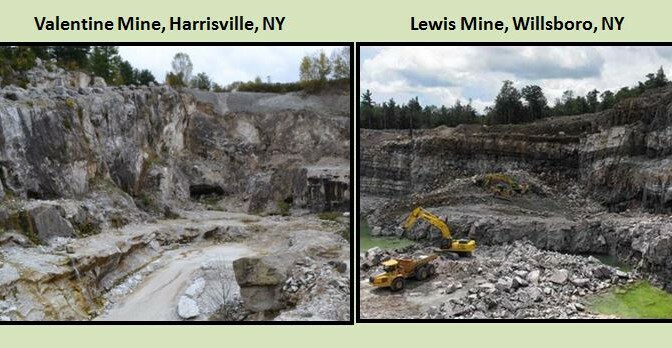 If you voted in the election of 2013, you may remember Proposition #5 in which the operators of the Lewis Mine sought to trade 1500 acres of their property for 200 acres in Adirondack Park immediately adjacent to the quarries west wall. But did you know that wollastonite is just one triclinic silicate mineral within what is known as the Wollastonite Group? These minerals are all single chain silicate minerals in which every third silicate tetrahedral is “twisted”. Calcium cations connect parallel chains in wollastonite leading the chemical formula CaSiO3. The lesser known members of this mineral group employ different elements as noted in the accompanying table. Rock hounds are always looking for new places to dig. Sometimes it is hard to find them. But we could tinker with that theme a bit and start “looking for new things in old places”. 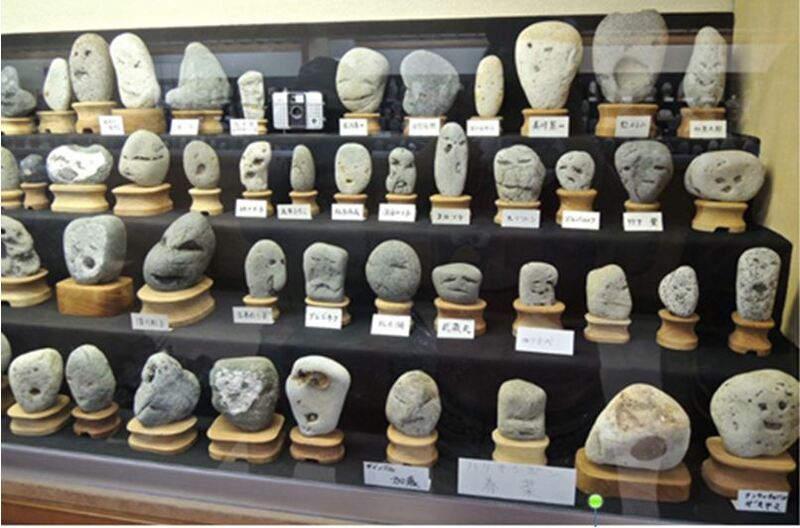 There is a museum in Chichibu, Japan, two hours from Tokyo that houses over 1700 rocks, all of which resemble human faces. 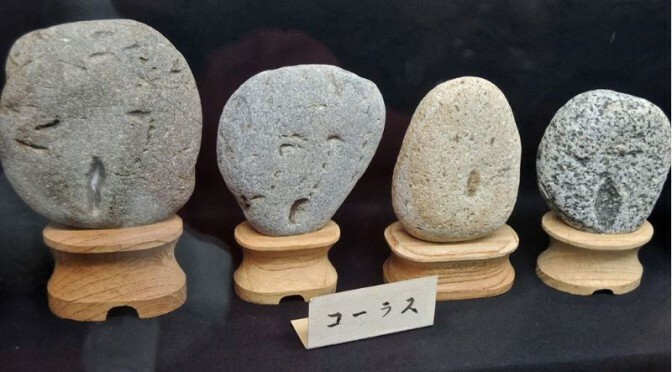 They call the museum Chinsekikan (which means museum of curious rocks). Apparently, the owners have been accumulating the odd collection for over 50 years with the lone requirement that Mother Nature was the only artist (Strategy, 2016).